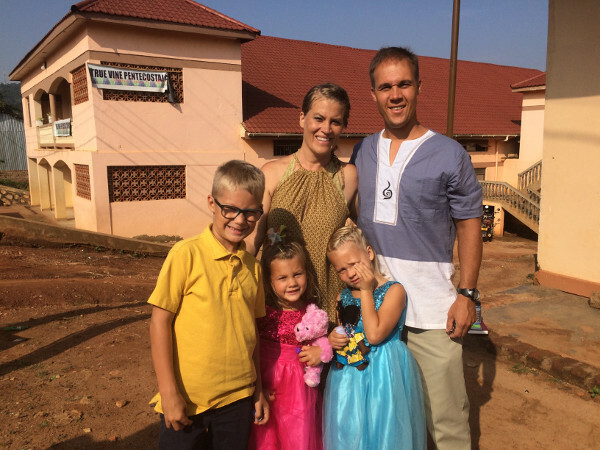 Andrew and Heidi Kanagy, along with their 3 children, Ivan, Margie, and Millie have chosen to uproot their family from the US and live in Mukono, Uganda where they are serving God and the people of Uganda. They work there as the “boots on the ground” for PUR International in order to oversee ongoing projects, host teams and interns that come on service trips, and minister to those in need wherever they see the opportunity to do so. They arrived in Uganda in October of 2017, and plan to stay for 2 years. In their first 6 months they hosted 3 different service teams, hosted 2 interns, and oversaw the startup of two large projects including a chicken house and a garden/greenhouse that will both be used to feed children at the school and add revenue to the ministry of True Vine Christian Ministries International. The plan is to have them continue to host teams and follow through with the development of those ongoing projects over the next two years. The goal is to get the projects to the point where they are self-sustaining and manageable by True Vine alone. Other than projects and teams, Andrew has been involved with starting up a soccer program at Victor’s school, and teaching discipleship classes to church leaders. Heidi has ministered at a women’s conference and a youth conference. She has also helped to deliver two Ugandan babies born to women from True Vine’s church in Mukono. They have been able to develop relationships with the people from True Vine, the people they employ, the people at the school, the people at the medical clinic, and the people all over the town of Mukono. They are involved in the lives of so many Ugandans on a daily basis, and they have had so many different opportunities to share the Love of Christ in little ways and in big ways. The Kanagy’s have been faithful to the call of Christ to Love God and Love people no matter where they live. At the moment, they are being obedient to that call while in Uganda. They are able to stay and minister in Uganda because of the financial support from people that have given to PUR International through this fundraising campaign. One Hundred percent of any donation you give to this campaign will go to support the Kanagy family and the ministry they are doing in Uganda. You can give a one-time donation, or you can set up a recurring monthly donation. Thank you so much for your financial support to the vision of this ministry. You play a huge role in making all of this possible.